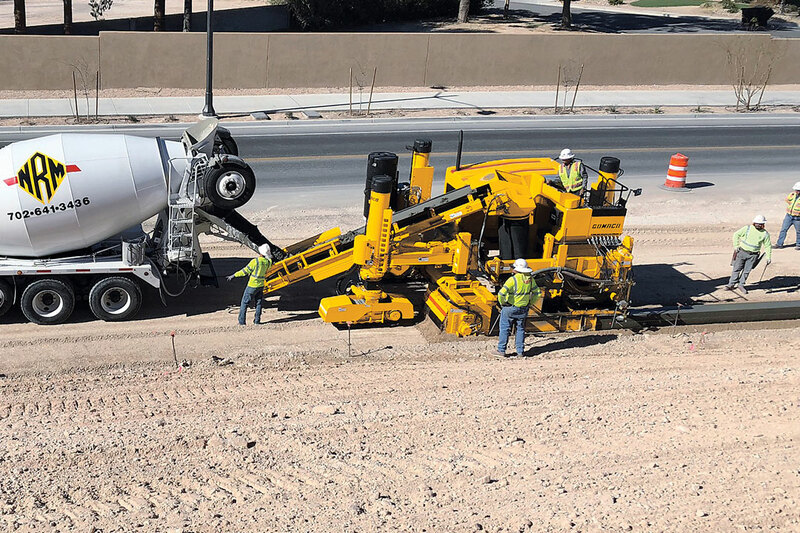 Stewart & Sundell slipforms curb and gutter on a project in Las Vegas, Nevada, with their new Xtreme Commander IIIx. In a city known for hosting the United States’ largest concrete trade shows, a new GOMACO Commander IIIx, a featured machine in the GOMACO booth at World of Concrete 2018, has found a new home. It was purchased by Stewart & Sundell and had a short transport from the Las Vegas Convention Center close to the famous Las Vegas Strip, to its new home in North Las Vegas, Nevada. The family-owned company has always favored GOMACO and the Commander III for their barrier and curb and gutter work. When the new Xtreme Commander IIIx was introduced featuring rotary-sensored slew drives with extreme track steering, they knew they had to have one for their company. 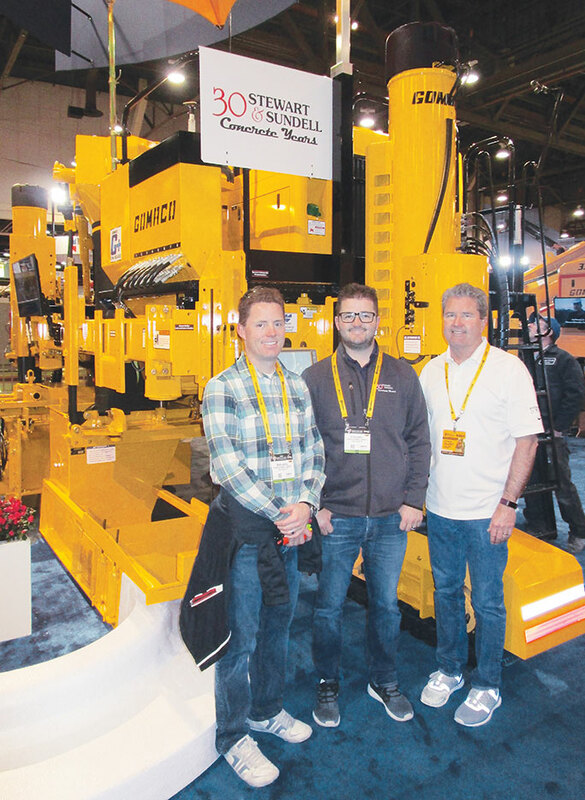 The timing of their purchase worked well for it to be a GOMACO trade show machine and Kris Sundell, and his sons Bryan and Peter, visited their new machine the last day of the show, January 16, 2018. Stewart & Sundell didn’t waste any time putting their Commander IIIx to work after World of Concrete. Within a week of the show, they were slipforming curb and gutter on a project in Las Vegas. They are able to use their existing Commander III molds, steering sensors and other accessories on their new machine without modifications. It’s a money-saving feature when you have over 30 years of existing curb and gutter and barrier molds in your inventory. The Sundells visited their new Commander IIIx in the GOMACO booth at World of Concrete 2018. They are, from left, Bryan, Peter, and Kris Sundell.